My Father runs a small business called Frequency Central which designs, builds and sells synthesiser modules. The Polygraf is one such module. The Polygraf has had several names and forms. The story behind how the Polygraf came about is quite a humorous one. After having completed the Bartos Flur, I was looking at some existing modules for inspiration to build a new project for fun and for the experience. I decided to attempt to replicate my interpretation of what a module might do. I had no idea what the module actually did - I never touched it, played with it, nor analysed its functions. I simply looked at the front panel - and not particularly hard either! As I know nothing about musical tech, the module I looked at did not do at all what I thought it did. The module I looked at was a sequencer running through outputs in a pre-defined sequence, and you could use switches to determine whether a particular output was on or off for the entire sequence. 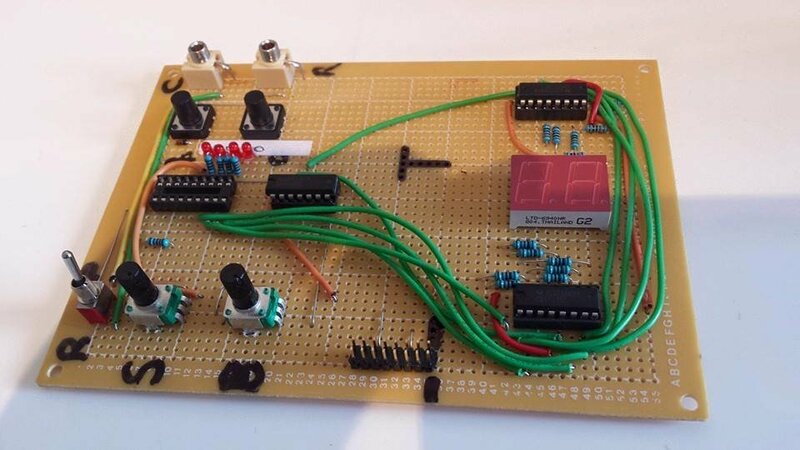 The circuit I made, later dubbed the ‘Grid Machine’ was much more like a drum machine (which I didn’t know about at the time) - You could program in sequences which the module will remember in EEPROM and can play back at any time. The Grid Machine was able to support 15 user defined sequences plus one hard-coded-by-Frequency-Central sequence (for technical reasons). Programming this was actually really fun to do. I felt quite versed with Assembly by now, and the project was quite challenging. The main challenge was how to store the data and formatting it appropriately. I knew nothing about filesystems at this time, and essentially rolled my own very simple one whilst designing it. I started by working through the data I needed to store. For each step, 8 outputs could be on independently of each other. Okay, I can store the configuration of that really easily in a byte, with each bit representing if a specific output is on or off. Each sequence can have 16 steps, so let’s allocate 16 bytes to each sequence. But a sequence can terminate early - we need some way of denoting if a sequence should stop prematurely. Let’s give each sequence an extra half a byte to denote which step it should stop at. Very quickly the storage method materialised. One byte storing the length of the sequence (which wastes half a byte, but I had nothing extra to store there anyway), followed by 16 bytes which contain the output sequence. The PIC I was using had 256 EEPROM bytes, and as each sequence used 17 bytes, it was easy to see that I could have 15 sequences. I opted to hard-code an extra sequence in there to round it out to 16 sequences as it’s a much nicer number to work with. I was really happy with the Grid Machine. I could encode different sequences on to the PIC (each output was also an input with a corresponding switch, though I only had 4 switches on my prototype) and play them back after. The problem with the Grid Machine was that the interface was not intuitive. 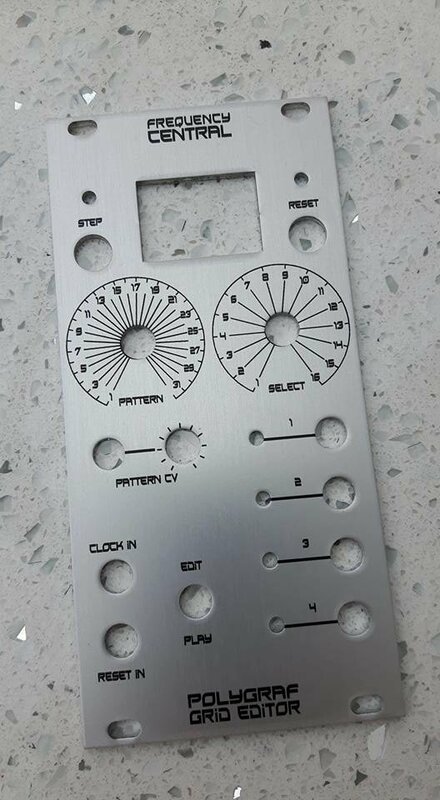 My Father commented that I had designed a device that only I knew how to use, and that you would have to have a good understanding of binary to even attempt to understand. I thought these comments were unfair, but accepted that the interface could use improvement. The project was discarded, despite being fully functional. Spring 2015 brought many changes. Frequency Central decided that there was merit to the idea - it just needed an improved interface. We decided to outfit it with two seven segment displays, sacrificing 4 of the outputs (the PIC didn’t have enough I/O pins). This changed the functionality dramatically. The interface would be much more usable, whilst having only 4 outputs meant that now we could store 32 sequences, 30 of which were user-programmable. The plan for the module also changed. Rather than recording beats and outputting these through drum modules, the four outputs would be connected to a 4514 4-to-16-line decoder. Each of these 16 lines would then be connected to variable resistors, such that each line has its own voltage value. These voltages would then be fed into a Voltage Controlled Oscillator (VCO) to produce sound. As such, the module as a whole would be able to record sequences of oscillations. It was unclear if this extra circuit would be sold as an expansion module, or if it would be sold built-in to the Polygraf. 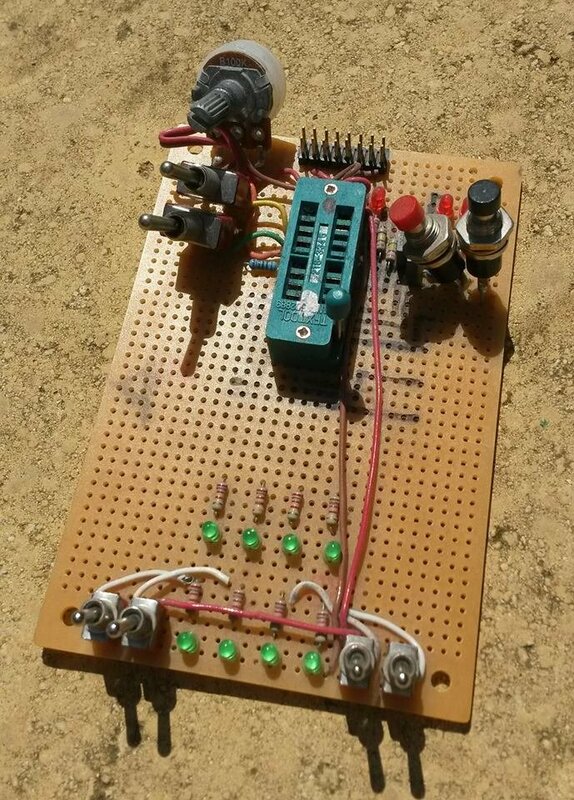 I wasn’t too concerned about this extra circuit, as it did not require any additional programming - the core PIC would remain the same. I had a certain level of fondness for the original idea as a drum-machine (ie, without the extra circuit), but Frequency Central thought strongly that the extra circuit made a much more desirable product. I worked on and off on the Polygraf (then known as the Event Horizon) for a long time. I made significant progress during Summer 2015, but external factors such as my Degree and Internship prevented me from completing it. I decided during my winter break (when I should probably have been revising for my exams!) that I would complete the project before I went back to University. My Father was amazed with the completed project. He loved how simple the seven segments made the module to use, and he happily spent some time programming new sequences into it from artists he liked. The plan is to ship the Polygraf with all sequences pre-programmed with beats from popular songs, as well as two generic beats called Motorik and Disco (for the two hard-coded sequences). To my delight, he even decided that the Polygraf was better as a stand-alone module, rather than shipping with the additional circuit I described earlier. Although the development prototype is fully functional, we still need to decide on the pre-programmed sequences and build a production-spec prototype. 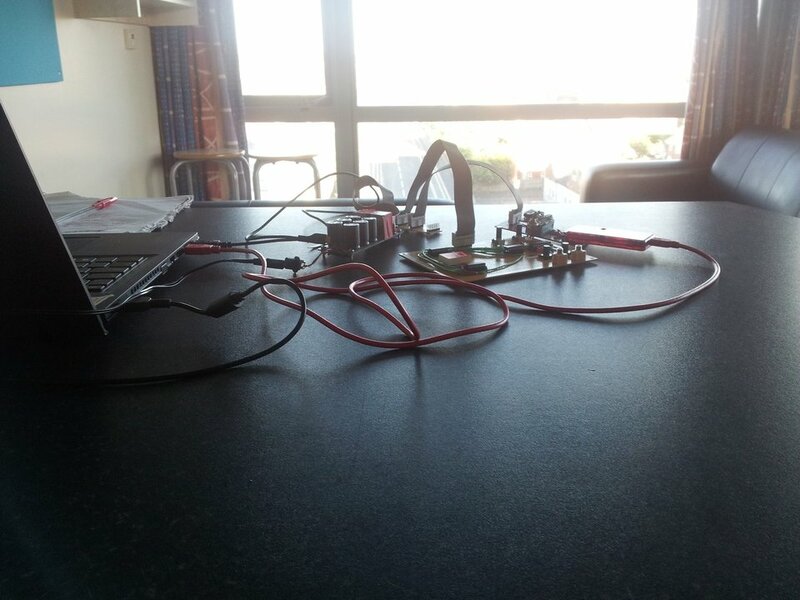 The project still has a way to go, as the PCB needs to be designed before we can even think about selling it. I’m really happy with how the project went, as it was collaboratively developed and grew naturally from idea to idea.